What is orange and looks good on a hippie? Are you saying that some people want to set hippies on fire? What's the problem about calling them "marijuana users"? Possibly that "user" has a negative connotation. Think about the difference between asking someone if they "enjoy alcoholic beverages," "drink alcohol," or "use alcohol." I use "people who smoke marijuana"
I prefer the word "patient" over the slightly offensive "pothead". There are medical marijuana users and there are stoners. Just because a person uses cannabis that doesn't make them "potheads" or "stoners". They are using safe, effective medicine that is non-toxic and all natural. I still don't understand why you have such an irrational hatred of cannabis. Do you not care about sick patients who are not responding to any medication other than cannabis? Republicans are starting to jump on the legalization bandwagon. Perhaps you watched "Reefer Madness" and took it seriously. Some people think that "pot" and "reefer" are pejorative terms. I think that they are appropriate, that while there may be some rare medicinal usages of pot, that most people who like to take pot do it only for the sake of "getting high", so it is fair to call them "potheads" and "stoners". To apply for an OMMA card, you have to get approval from a licensed physician. 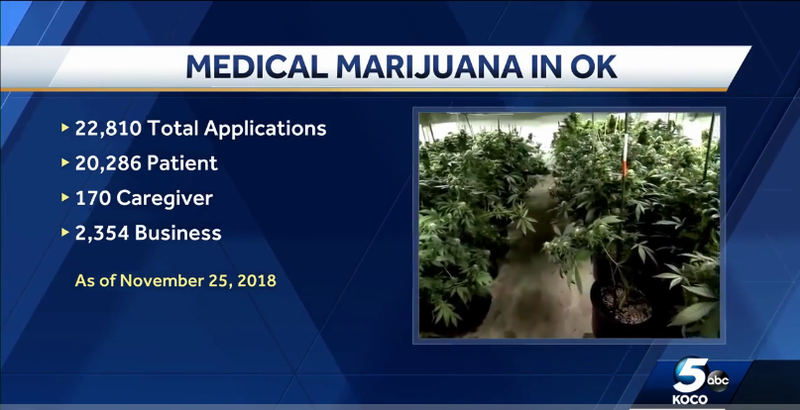 Unless you think Oklahoma's doctors are willing to risk their medical license (and thus their career) 20,000 times just to hook some folks up with some weed, man, that's hardly rare. Rare. Oklahoma has 4 million population. 0.5% of the population does not meet my standards for "rare". Who are you to say what meets my standards for rare? That's still 1 in 200. That means that at least one customer I talk to at work each day is statistically likely to have an OMMA card. Not rare. This is with OMMA only having existed for six months, too. The number of cards issued will only go up. 1 in 200 is pretty rare. Certainly not "common" or ever "occasional". It is roughly the same odds as rolling doubles three times in a row on a pair of six-sided dice (1/63 = 1/216). Which is what sends you jail in Monopoly. Going to jail in Monopoly is definitely not rare. But you go to jail in several other more common ways. Like the little known rule that too much shitposting online earns you jail time. Welp that's it farewell my friends. Given the number of doctors who risk their licenses to overprescribe prescription painkillers, you might be surprised. Then HIV is a rare disease (roughly 1 in 300 in the USA).